ANDA is a New York City based group of architects and builders. Our main goal is to help clients create elegant and efficient residential and commercial spaces through a collaborative, integrated and seamless design build approach. From start to completion, we are a single team entirely responsible for making ideas happen. That is our passion! We believe in creating enduring architecture. Grounded in Modernism’s pursuit of innovation, our work explores new combinations of material, structural, and spatial relationships that eschew predictability and embrace inspirational and poetic experience. Our firm’s designs explore the creative potential of architectural systems, in combination with the specificity of a place and its history. Our design approach reaches beyond a single discipline to integrate architecture with landscape, building technology and contemporary culture. A firm of forward-thinking designers, we expand the standard kit of building tools with new technologies and methods. Our goal is to create solutions that combine beauty and function in a manner that enhances the user’s experience. New Jersey - (973) 707-7640 Connecticut - (203) 324-7640 Eric Baker Architects, LLC is an architectural design firm specializing in residential and commercial architecture. EBA was formed in 1991 after Mr. Baker Graduated from Columbia University’s Graduate School of Architecture. Our client base is segmented into 6 categories; home owners, developers, the commercial banking industry, corporate offices and interiors, and new office buildings. EBA’s competitive edge is its design excellence as well as its knowledge of digital-based design resources and their application as they pertain to construction documentation and customer service. At EBA, we recognize that each client has a specific design need and vision. Our goal is to help define that need and transform our client’s vision into a reality. We are committed to working within our clients budgetary and time requirements to satisfy their architectural demands. We also promise to assist our clients with every aspect and stage of their project until completion: from architectural design to bidding negotiations and construction. Prime Home Improvements has grown to be one of the area’s largest and most recognized home improvement contractors. While our growth may have propelled us into the “large company” category, we are proud of our beginnings and work diligently to uphold values common to family- owned and operated businesses. We go above and beyond to satisfy our customers. Our standards of quality, ethics and integrity are second to none. Our installers have the highest level of expertise in the industry and we strive for impeccable workmanship. We have served over 15,000 customers and, while we strive for perfection, it’s not always realistic. Our goal at Prime Home Improvements is 100% customer satisfaction. If our customers are not satisfied, we are not satisfied. We go above and beyond to fix any problems in a timely manner. We stand behind our work and warranties 100% for life. We pledge to all our customers an uncompromising commitment to their complete satisfaction. Wettling Architects is a residential architecture firm based in New York City’s SoHo neighborhood led by Jack Wettling. We were founded on the belief that good design responds to its surrounding environment and resonates with the soul of a site in order to enhance the daily lives of its inhabitants. We guide clients toward a full realization of their vision by helping them conceptualize the greatest potential for their space. Our goals are to integrate fun into function, generate opportunities from site constraints, and produce designs that are consistently bright, clear, and honest. 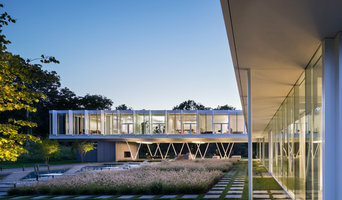 Our architects value the uniqueness of each client and are eager to approach each project—and each challenge —with fresh, inspired, case-specific insights. As a small, personable team with an untiring attention to detail, Wettling Architects is committed to producing the best possible solution for each of our clients at the highest level of service and quality throughout the design process. Full service Kitchen & Bath Design and Remodeling. Specializing in residential kitchen and bath remodels, production kitchens for developers, builders and contractors. We take you through the entire remodeling process, from initial design to installation. 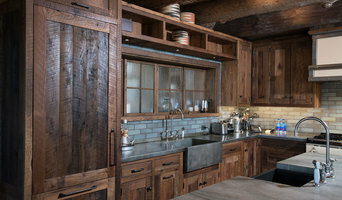 We work with stock, semi-custom, and full custom cabinetry. Platinum Construction LLC, with over Twenty Five years of industry experience specializing in renovations, restoration, historic row house, brownstone, High rise buildings, home additions, remodeling, kitchen, bathrooms, stairs, carpentry, custom wood & plaster moulding, doors, windows, tile servicing Weehawken, Hoboken, Jersey City, NJ area. We are fully licensed and insured full service building and remodeling company. National Association of Remodeling Industry "NARI" Member since 2008. Our reputation is built into every home we remodel. Allow us to show you what the Platinum level of service and craftsmanship can do for you! "Quality Guaranteed"
Any additions, new construction, remodeling. We treat your home or business as if it were our own. Our goal is to make your project go as smooth as possible from start to finish. No matter what size is the job.